I come from an agricultural background and that has clearly influenced how I see animals. In farming there’s always a compromise. You feed the animals and look after them, but you kill them in the end. But if you wouldn’t do that, the animals wouldn’t exist. Yes, we can farm without animals, we can do research without animals. But in the world we live in, people expect to have food coming from animals and drugs developed with the best scientific methods we have. As long as this is the world we live in, working with animals is a compromise between the purpose for what we are using them and the ideal way of treating them. My work is about optimizing that compromise. I’m in academia because I love working with knowledge: organizing knowledge, sharing knowledge, aquiring knowledge that exists but I didn’t have – but above all generating new knowledge. This is what made me return to academia after a short stint in a governmental job before starting my PhD, I worked with academics who produced knowledge that I was to make use of for policy purposes – and I realised I wanted to be the one who produced that knowledge. I also enjoy working with people. 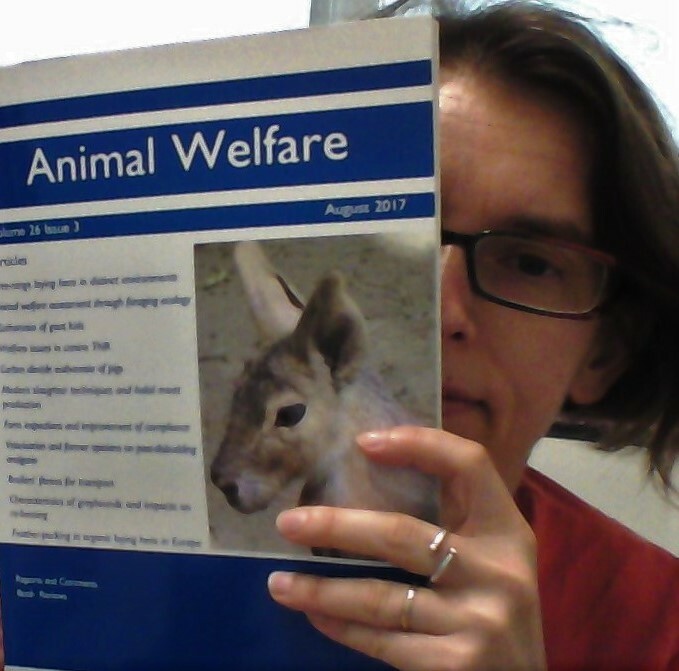 My research is about the welfare of animals in human use, especially animals used in research. I also work with ethical issues related to animal use. This includes how to improve the human relevance of research with animals. Animals are living, sentient beings who can experience pain and distress. Researchers don’t want to inflict pain and distress if it can be avoided, but lack of knowledge is sometimes an obstacle, which is why we need to learn more about what animals need and how to provide for that in different situations. That the anti-vivisection campaign photos are representative of how animals are used in biomedical research. How much of your work life is devoted to research, teaching, or other professional activities? How do you feel about those proportions? In one way, it would be adequate to say I spend 70% of my time on research, 15-20% on teaching and outreach and 10-15% in-house service commitments. But for me as a senior researcher and group leader, research time includes a lot of grant proposal preparation, which often feels more like administration, and a lot of student supervision, which often feels more like teaching. I’m trying to work my way back to having more time for own hands-on research. Other than that, the present proportions suit me well. To be learning new things almost all the time. To be able to discover new things together with the great people I work with.